If you’re fascinated by history and are on the hunt for cities to visit which boast plenty of historical attractions, simply continue reading to discover 3 historical cities to visit, which will all take your breath away! Petra is an archeological site, which is located in Jordan’s remote south-western desert and boasts the remains of an ancient city which is thought to have been built around 300 BC. At the time Petra, which was a desert city which was carved into pink sandstone cliffs served as the capital of the Nabatean Kingdom. 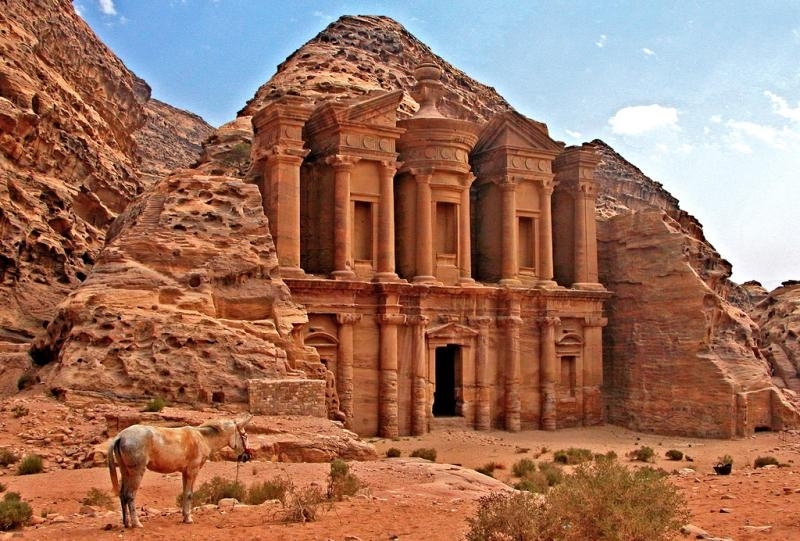 While Petra was built 300 BC, it’s still well worth exploring as many of the facades of Petra’s most ornate, awe-inspiring buildings are still intact. Strolling through Petra, you’ll have a clear sense of what it would have been like to walk down Petra’s streets thousands of years ago. When Petra was a bustling metropolis. One building that will definitely take your breath away is the Al Khazneh, which stands 45 meters tall and is carved to feature beautiful Roman-style pillars. In fact, the Al Khazneh is such an iconic site, that it was featured in the Indiana Jones film “Indiana Jones and the Last Crusade”. Lastly, if you have an adventurous spirit, you’ll also enjoy feeling like an intrepid traveler as in order to get to Petra, you’ll have to make your way through a narrow canyon named the Al Siq. When you think of the most famous historical destinations in the world to visit, your mind probably immediately thinks of Rome, which is also named the eternal city. While Rome isn’t quite as old as the ancient city of Petra, Rome was built approximately 753 years before the documented birth of Jesus Christ. As Rome has a history which spans around 3,000 years, Rome is literally teeming with historical sites to visit. The most famous of which is the Coliseum, which was built in 80 AD. Other historical sites which are well worth visiting on a whirlwind tour of Rome include the Pantheon, the Roman Forum, the Arch of Constantine and St Peter’s Basilica. The latter of which can be found within Rome’s borders but is technical in another country, Vatican City. As The Vatican is officially recognized as being its own country. Even if you’re not Catholic, it’s well worth visiting The Vatican in order to see the ceiling of the Sistine Chapel which was painstakingly painted by one of the greatest artists of all time Michaelangelo. If you’re fascinated by ancient history, it’s also worth taking a flight from Rome to Athens is one of the oldest cities in the world and it’s home Greece, is seen as the birthplace of modern democracy. Some of the sites which you’ll want to explore include the Acropolis, which is an ancient temple which looks over Athens and was built in the 5th century as well as the National Archeological Museum, which contains the largest collection of historical Greek artifacts, ruins, and artworks in the world. So if you’re looking to take a trip of a lifetime and love history, you’ll fall in love with Athens, Rome and Petra.